COMING SOON ON CBS–SURVIVOR: Hurricane Rita! | HAIL DUBYUS! 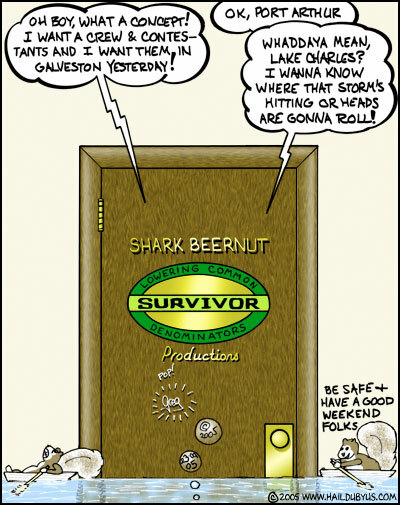 COMING SOON ON CBS–SURVIVOR: Hurricane Rita! OK, it’s tasteless. But you know, someone’s thought about it…To Everyone in Rita’s path, please, get out or get someplace safe. We’ll be following you and the storm this weekend. Take care all.